Your wireless router is responsible for handling all of the data that flows into (and out of) your house through your internet service provider. The best wireless routers in CR's ratings will cover your whole house in a fast WiFi network, rushing data where it needs to go to keep Netflix movies and web pages humming along without a glitch. But not every router performs that well. “If I’m paying for a 200 megabit internet connection, can I actually get that fast with my wireless router?” says Richard Fisco, who oversees router testing for Consumer Reports. If you experience problems with dead spots or slow connections, it could be time to go shopping. Wireless routers today can broadly be broken up into two categories: single and mesh routers. A single unit is a traditional wireless router that plugs into your modem. Mesh routers consist of one device plugged into the modem plus a few satellite units stationed throughout the rest of your home. The units talk to each other, creating a "mesh" WiFi network. A single router is fine for many apartments and modest-sized houses. But if you happen to live in a larger home, you may do better with a mesh router. Your home's size isn't the only factor, however. Thick concrete walls and even the water in fish tanks can interfere with WiFi signals. Mesh routers are handy because you can move them around until your wireless network reaches every corner. Whether or not you own a single or mesh router, it's important to update the firmware periodically to make sure you have the latest security patches. Getting updates used to be a bit of a hassle, but now many of the best wireless routers, including those listed below, can do it automatically. The models highlighted below are some of the best routers in CR's ratings. Despite being released in late 2015, the Asus AC3100 (RT-AC88U), $240, is still very highly rated. It’s a single unit, dual-band router, which means it can use either the 2.4GHz or 5GHz frequency to steer clear of interference. This Asus excels at broadcasting a WiFi signal at close and medium range, and is only slightly less adept at long range. We also appreciate the presence of eight Ethernet LAN ports and a single USB 3.0 port. Having lots of ports is useful because it means you can plug in devices like printers or hard drives that can then be used by any computer on your network. Like the other routers listed here, the AC3100 (RT-AC88U) has automatic updates, which means you’ll always have the most up-to-date security and performance patches. The Linksys AC1900 (WRT1900AC) is a bit less expensive than the Asus listed above, but it performs well in most circumstances. 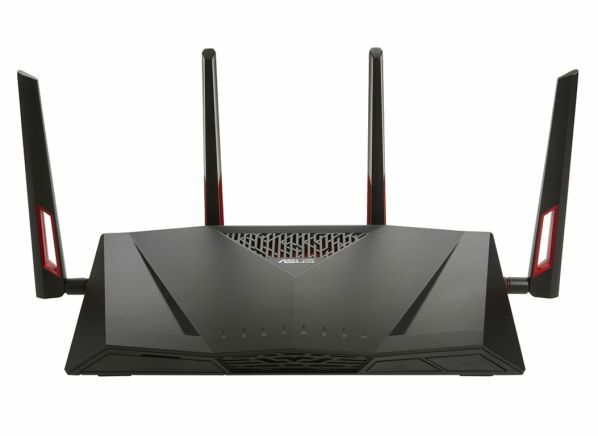 Like the Asus model, it’s a dual band wireless router that performs well at close and medium range. But the Linksys doesn’t do as well over longer distances. That may not matter if you live in an apartment or in a small house, but consumers with larger houses may want to look elsewhere. 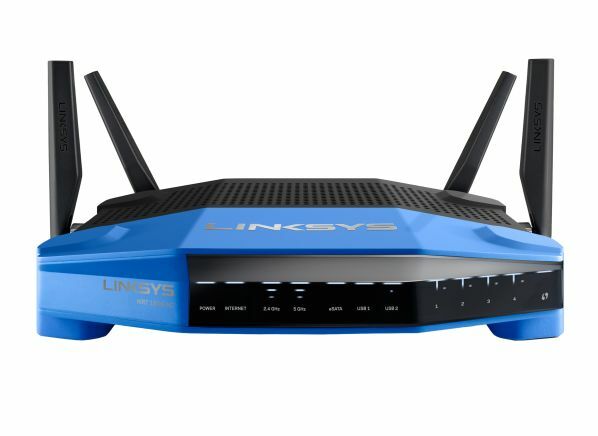 The Linksys includes four Ethernet LAN ports as well as a USB 3.0 port. That's fewer than the Asus provides, but it's more than enough for many consumers. Eero helped popularize the concept of mesh networking, and its Pro Tri-band Mesh Network is one of the best mesh wireless routers you can buy. It's expensive compared with single routers, but that comes with the mesh-system territory—you get three units in the package. And you can buy additional satellite units for around $150 each. The Eero offers very effective WiFi coverage, according to our testers, even in large houses. 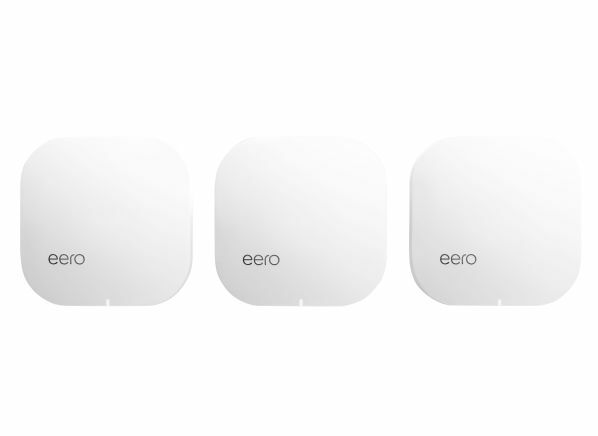 Eero supports automatic firmware updating, and there are five Ethernet ports. While Eero is a strong all-around performer, it lacks a USB port, which means you won’t be able to plug in a hard drive that can be shared among the computers on the network. There are other ways to share files between computers within your home, but they can be a bit trickier to set up, especially if you have a mix of Windows and macOS machines. 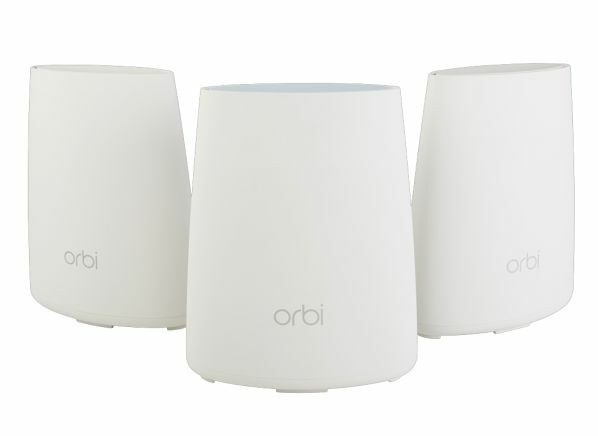 The Netgear Orbi AC2200 Tri-band Mesh is a good alternative to the Eero. It scores slightly better than the Eero when it comes to long-range performance, but not as well in medium-range performance. You might say the two products split the difference. The biggest reason to consider the Orbi over the Eero is price; the package of three units costs about $100 less. It has 11 Ethernet ports as well as support for automatic updates. But like the Eero, it lacks a USB port. CR experts show 'Consumer 101' TV show host, Jack Rico, how your WiFi router might be an open invitation to hackers looking to steal your private information. Plus, tips for securing your network.